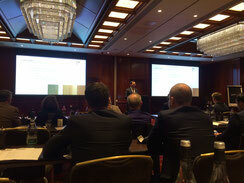 3rd time this conference took place in London and we attended. Interesting discussions and meetings were held between airlines, manufacturers and related organizations. Getting direct access to modification, refurbish and maintenance topics from first hand helps us to improve service and get inputs for new products. 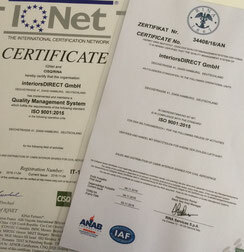 interiorsDIRECT GmbH has successfully passed audit on ISO9001:2015 certification end of October 2016. Quality Management System was installed end of 2015 and developed to a mature system within day-to-day business. 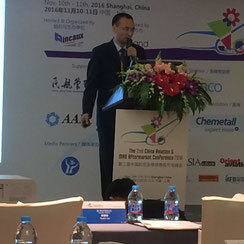 2nd China Aviation and MRO conference took place in Shanghai, China. Main topics to discuss with asian airlines as well as MRO were MRO trends and material supply. 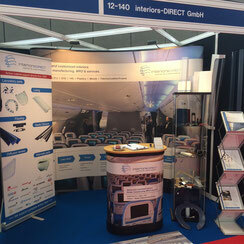 interiorsDIRECT met representatives of the biggest MROs and airlines in China and Asia. Again Europe's biggest MRO exhibition and conference took place in Amsterdam, The Netherlands. With a booth interiorsDIRECT GmbH could make good contacts to new customers as well informed actual customers about Progress in the company. Lead-time is a very important criteria for after-market customers. We opened our warehouse to stock material and products as safety stock for our customers in central Germany. 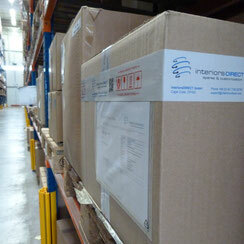 E. g. for the Airline fleet support we are able to supply material within one day. Also Airlines can benefit from high QTY lots of Production and reduce stock in their own warehouses.